Place of Birth - Memphis, Tennessee, USA . 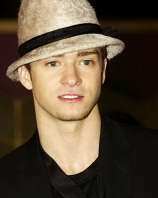 Justin Randall Timberlake was born to Lynn Harless and Randy Timberlake on January 31, 1981 in Memphis, Tennessee, USA. At the age of 11, he appeared on the show "Star Search". Won Grammy for Best Pop Vocal Album for "Justified" .Won a Grammy for Best pop Male for "Cry Me A River". The release of the solo album, titled "Justified", came in November of 2002. Songs from his solo album include: "Like I Love You", "Cry Me A River", and "Rock Your Body". His Sun in Aquarius marks Timberlake a unique, rather eccentric individual. His Mercury, the Planet of Communication, and Mars, the Planet that drives his passions and ambitions, also lie in Aquarius, underscoring his intellectual progressiveness. The Sun-Saturn Trine and the Jupiter-Saturn Conjunction in his natal chart help him combat the pitfalls of celebrity. These aspects make him self-confident without becoming conceited; they promote his success but also give him a real respect for authority. With his Venus in Capricorn, Timberlake's romantic motives may not be based solely on love and affection. With his Moon in Sagittarius, Timberlake requires plenty of freedom to feel happy. His Venus Square Pluto and his Mars Square Uranus both increase his sexual desires dramatically, and the combined energies of Capricorn and Aquarius paired with a Mars-Neptune Sextile help to temper any Mars aggressiveness.